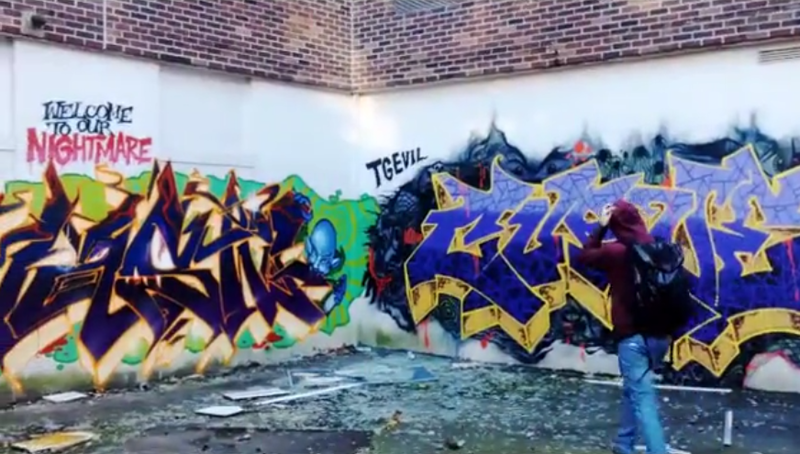 Welcome to our Nightmare is a new video that follows Curve and Mast on a painting mission to an abandoned building all shot on a Super8 video camera. The two brought their A-game to crush this production side by side. Watch the video and action flicks after the jump! Jaime Calderón – Super Likes! We all know how gratifying it is to get likes on our favourite social medias, mainly Facebook. 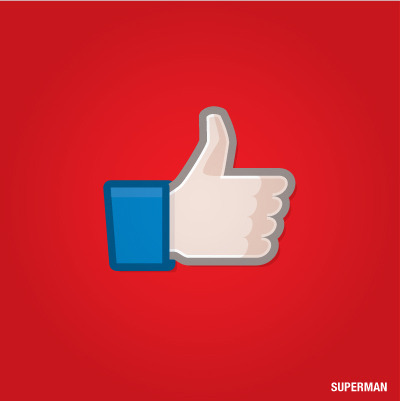 So Jaime Calderón created a number of “like” icons that match our favourite Superheroes. Imagine posting a picture and getting a like from Batman. A true dream come true! If there’s something to do with art and superheroes/villains, you know BBB will post it. Here’s a new series from Rene Gagnon entitled “Super Series”. Ben Turnbull‘s “Real Life Superheroes” artworks are not only a treat to look at, but a very sincere and beautiful tribute to those who put their lives on the line for us and seldomly get recognition for it. All created with comic book clippings to evoke a perfect metaphor. Fred Lebain‘s work is absolutely outstanding. This particular series is of photographs taken throughout New York City. Lebain first begins by photographing a particular spot, large format printing this original photograph then returning with either other people or stands to hold the print in the exact same spot then takes another picture to allow them to merge into one another. If you’re as big of a fan of Superheroes as we are then you’ll love Simon Monk‘s Superhero action figure paintings. So nostalgic. A friend of ours showed us Aran Harahap’s photography series entitled “Super Hero” a while ago and it had slipped our minds to show it until stumbling across it again on Juxtapoz. This series is so quarky and well executed.